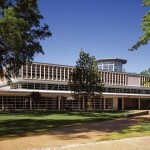 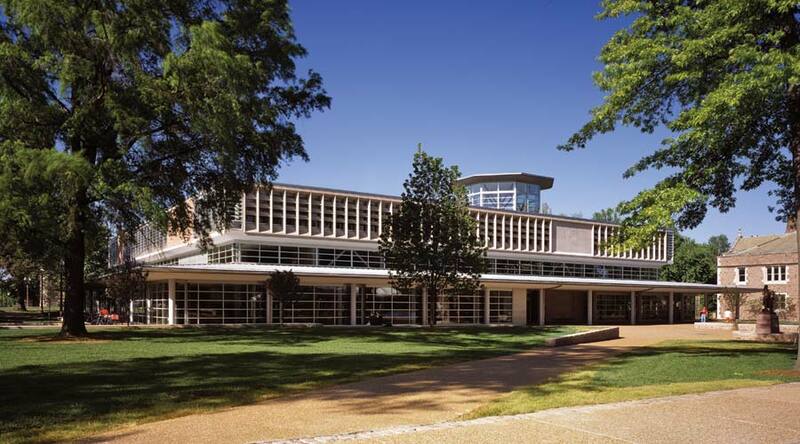 Olin Library was built in 1960 as a winning design from a national competition, and is sited at the center of Washington University’s historic hilltop campus. 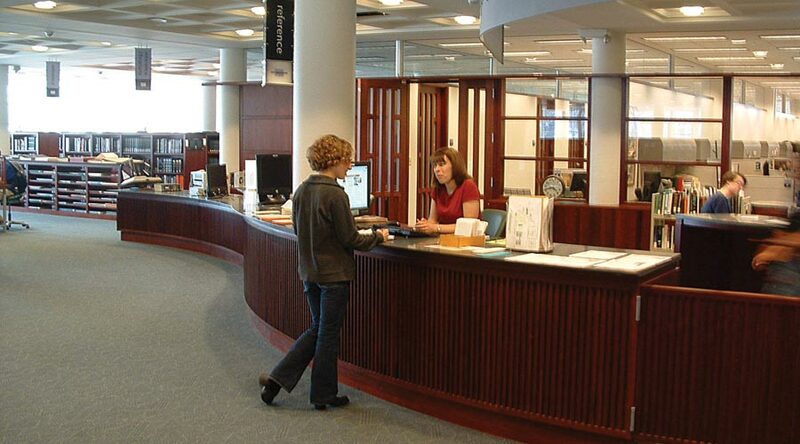 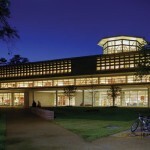 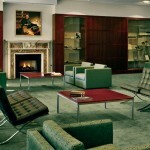 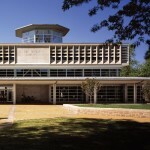 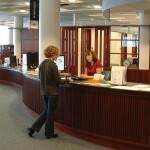 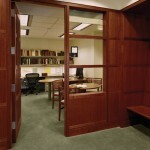 The original modern structure expressed an era of library design in which the facilities were conceived as warehouses for preserving books with minimal natural light, cloistered from the environment, as well as possessing minimal librarian services and places for social interaction. 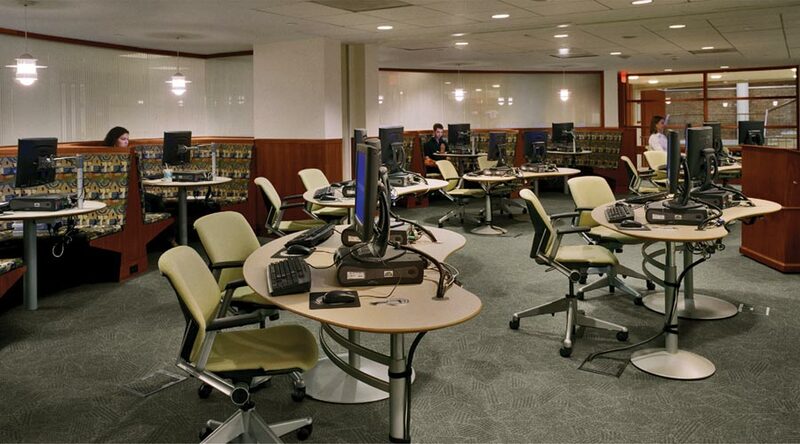 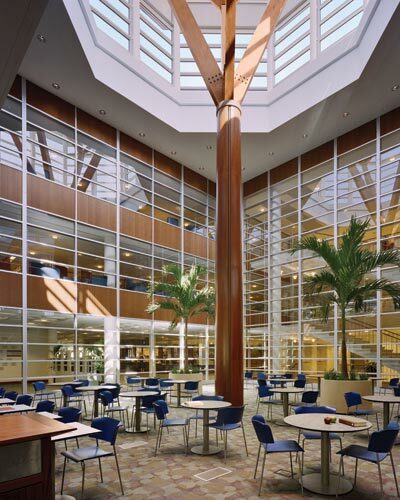 The renovation retained the existing structure and core, expanded the enclosure to provide additional space, and transformed an under-utilized exterior lightwell into a multi-story Cyber-café that serves as the spatial, visual and social nexus for the library. 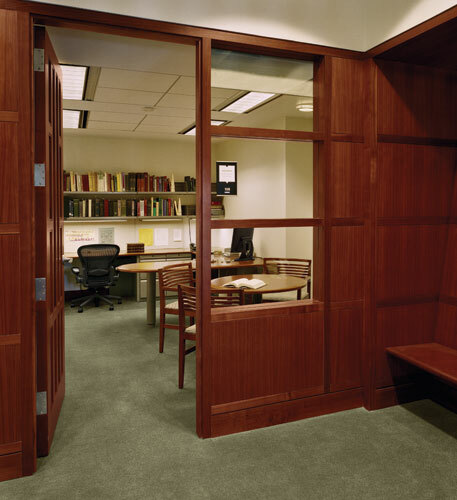 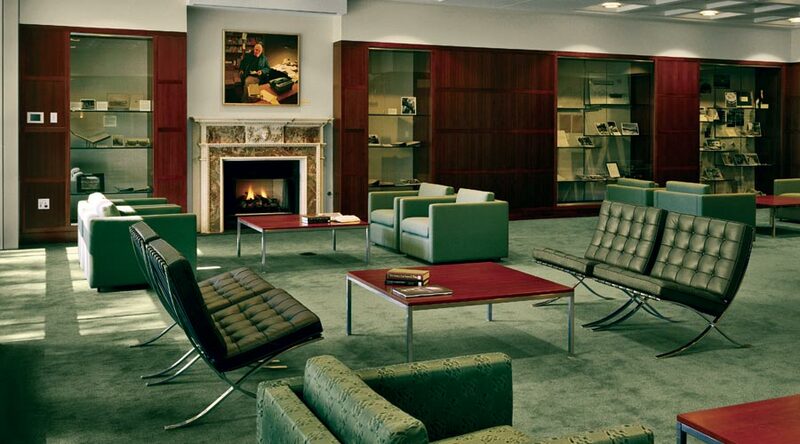 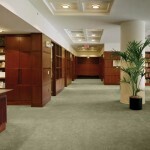 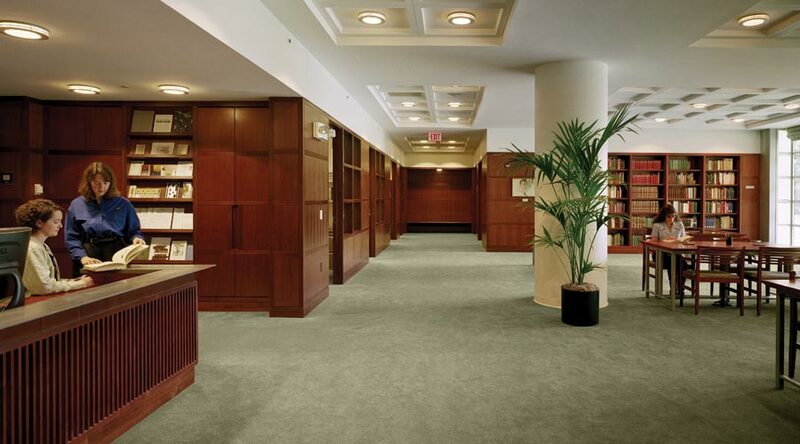 The ground level was reorganized to provide public services, periodicals, Special Collections/Rare Books for visibility and an elegant reception/reading room for public purposes. 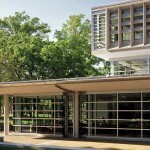 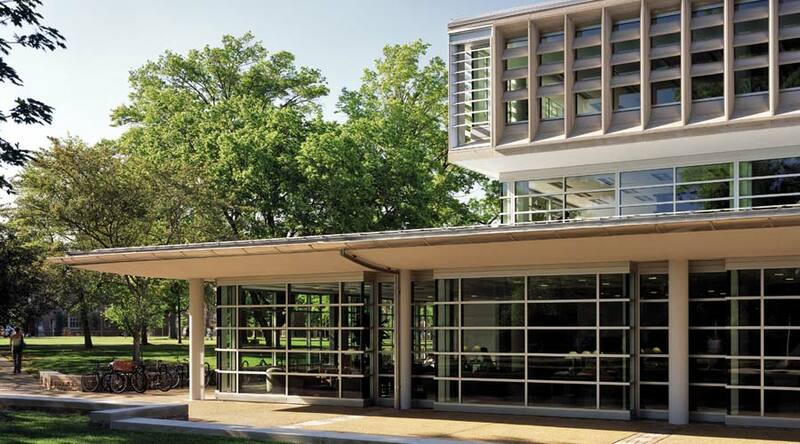 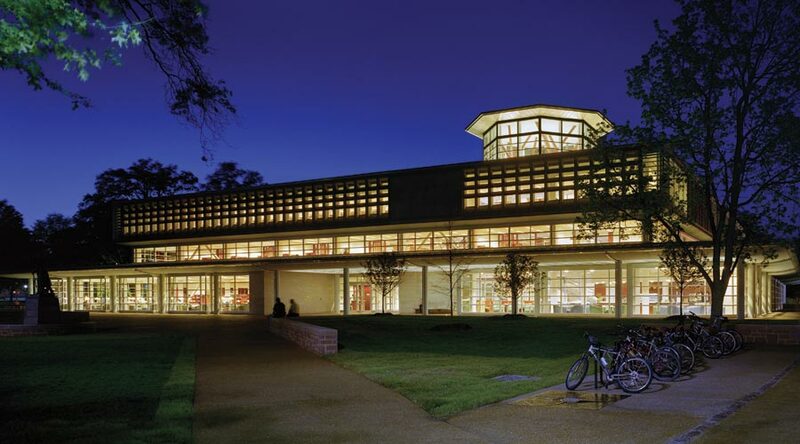 The potential for transparency in this modern structure was realized with glazed curtain walls which created luminous daylight interiors, extended the surrounding landscape, and in the evening, expresses the library as a beacon lantern. 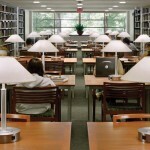 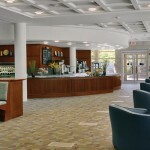 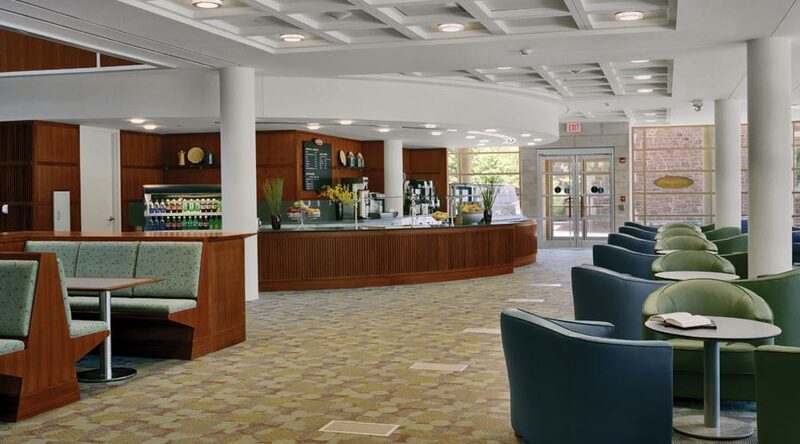 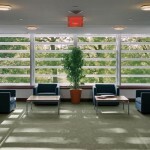 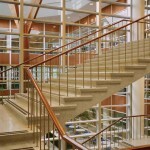 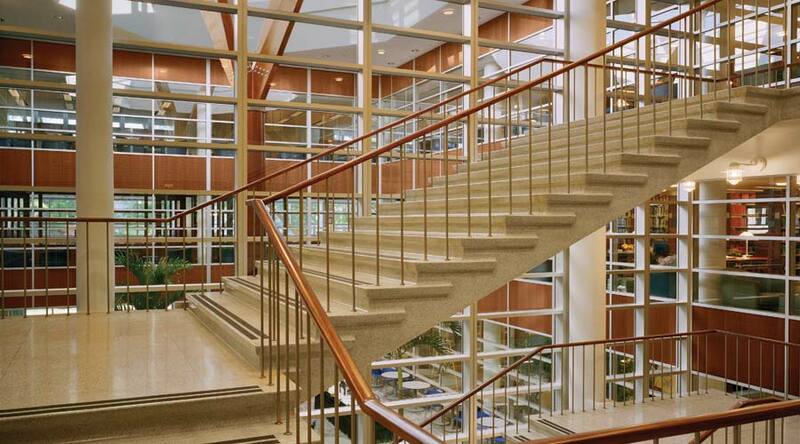 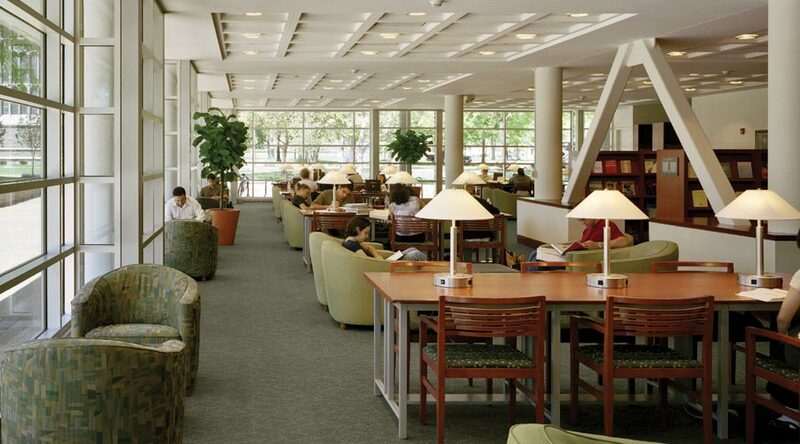 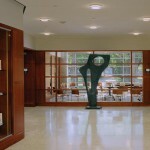 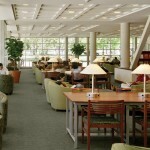 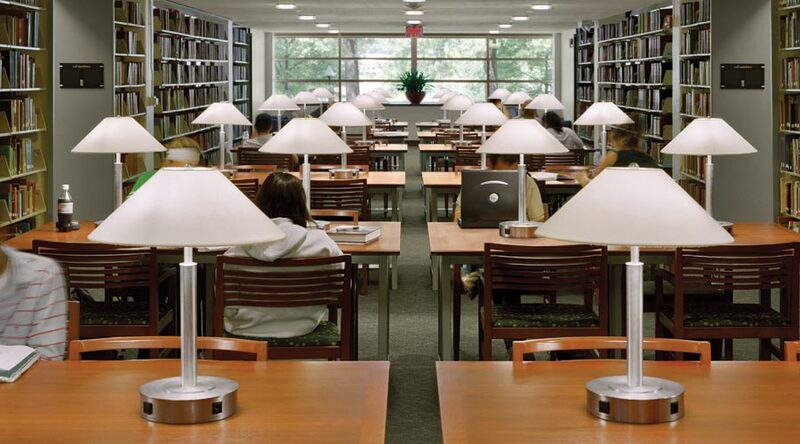 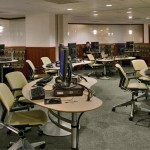 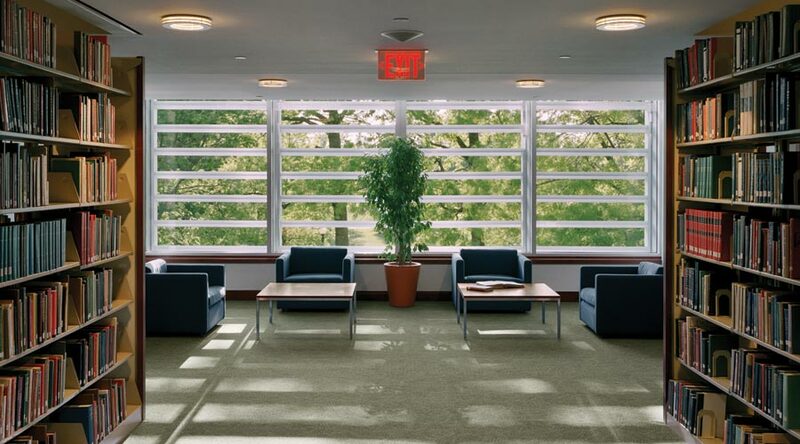 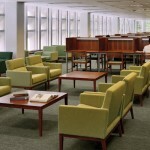 The two upper levels were reorganized to create numerous group study rooms of varying sizes, as well as distinctive reading rooms within the matrix of book shelving while overlooking the campus lawn or the Cybercafé. 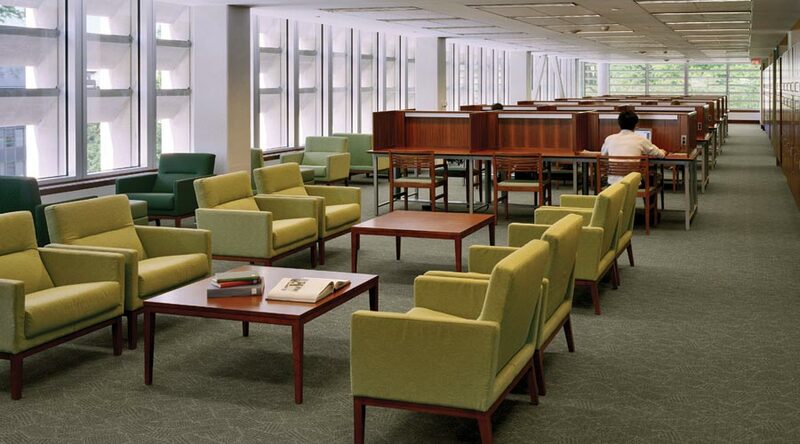 The two lower levels were also reorganized to accommodate a 21st century media and technology lab and compact shelving to optimize on-site book storage. 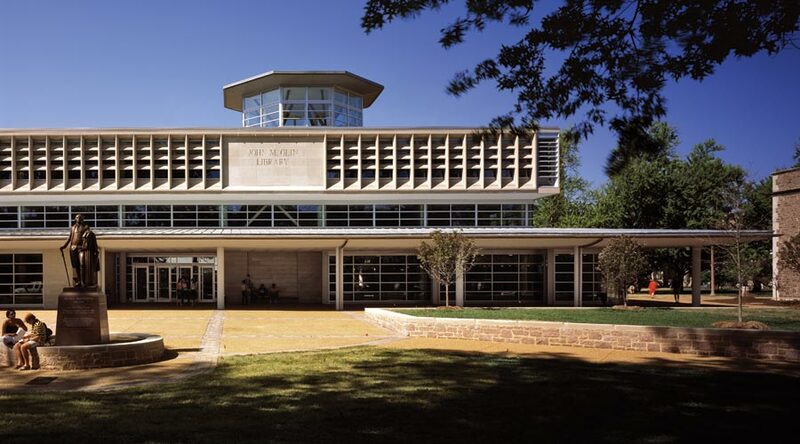 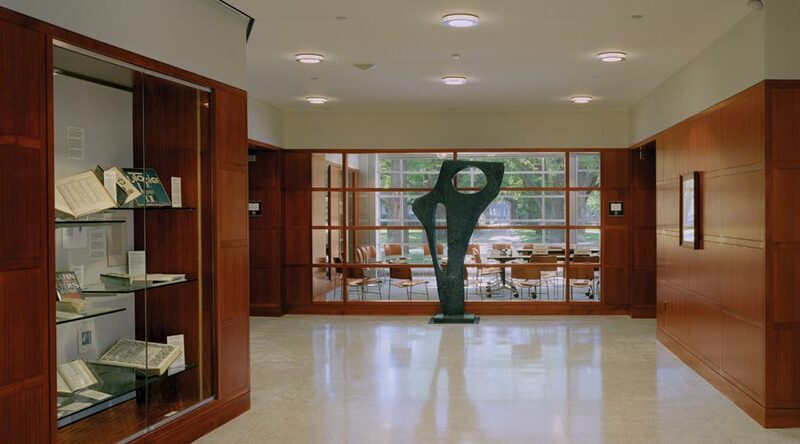 Olin Library’s usage tripled after completion of the renovation as it has become the true campus civic center for Washington University — interweaving places to learn, research, collaborate and socialize.